Browse our holiday offers for Summer 2019 that let you fly from your local airport. You will fly with British Airways in a 98 seat aircraft configured with two seats on either side of the aisle, so that you can start your holiday in comfort and style. Our usual exceptional service is offered with superb weekend flight times and an opulent luggage allowance means you really will get the perfect start to your holiday. 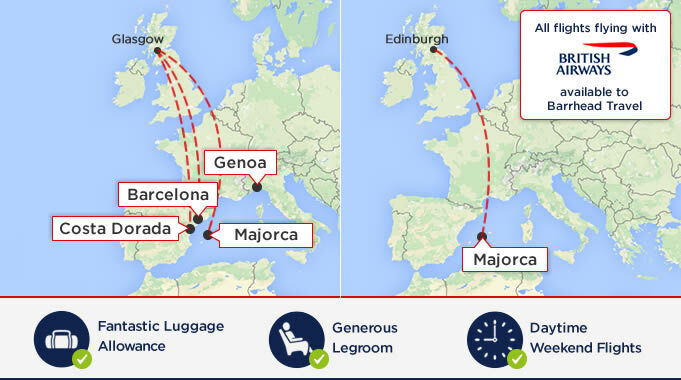 Here is a list of our British Airways routes, operated by Barrhead Travel.